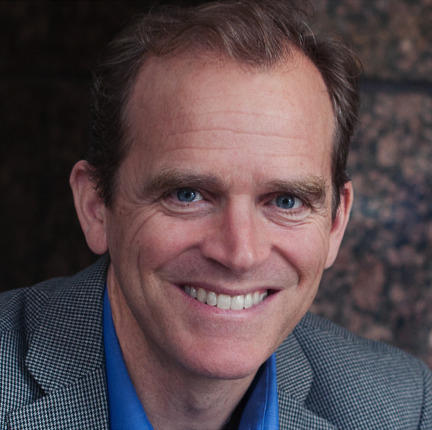 Dave Chase has co-founded as well as played executive leadership roles in bootstrapped, self-funded, angel backed and venture backed startup organizations through their transition to acquired and integrated companies within leading Internet brands and private equity organizations. He has also seen the difference between startups that bumped along for years vs. those that reached escape velocity. Having driven or been a part of multiple exits and then integrations, Dave understands key success factors for the acquiring and the acquired. Dave has founded or played executive leadership roles in two $1 billion businesses - one inside of healthcare and one outside. He has also been part of a botched corporate spin-out. Much of that team reconstituted itself and created what is now a $6 billion enterprise; a huge miss for the original corporate spin-out and a great learning experience for everyone involved. Having spent a large amount of time outside of healthcare as well as having deep healthcare experience, Dave understands healthcare's idiosyncrasies without being shackled by them. He has brought non-endemic business models into healthcare, rather than being limited to traditional healthcare models. Dave co-wrote the seminal book on patient engagement that won the HIMSS Book of the Year prize. In 2015, Chase was named one of the most influential people in Digital Health alongside luminaries such as Dr. Eric Topol, Dr. Shoon-Shiong, Elizabeth Holmes and Vinod Khosla. In addition, he conceived what became the 95 Theses for a New Health Ecosystem as well as Health Rosetta: Open Sourcing What Works in Health & Wellness. Along with a documentary that is in the development phase, Dave is helping accelerate the unbendable arc towards a much higher value health ecosystem that achieves the Quadruple Aim. With a background which includes leading industry-wide transformation in the aftermath of the dotcom bust that led to the next generation of industry leaders that far surpassed the incumbents, Dave sees a similar opportunity today and greatly enjoys working with industry colleagues who share his passion to help the healthcare industry which its full potential. He has journeyed through every stage of new businesses from idea conception to escape velocity; surpassing $1 billion in revenue. He has lived, worked or traveled in 33 countries and recognizes that the best solutions may be drawn from outside one's own borders whether those borders are company, industry or country. Throughout Dave's business journeys through startups and high-growth companies, he has traveled well which for him means personal fitness and wellness, a healthy family life and covering tens of thousands of miles on his feet, bikes and skis as a mountain sport athlete. Whether they are company-specific or cross-company, Rosetium seminar participants will receive the benefits associated with accelerating the path to market and thought leadership in order to ensure sustainable success. Rosetium has experience and strategic partnerships to help you with each phase of funding from Seed through M & A as well as for new ventures inside of established organizations. Rosetium is on retainer with leading firms who benefit from on-going advisory services throughout the entire lifecycle of projects. In contrast to the many failed "innovation" projects taking place in healthcare organizations, we work with leaders to develop market-winning strategies and transformative business models.